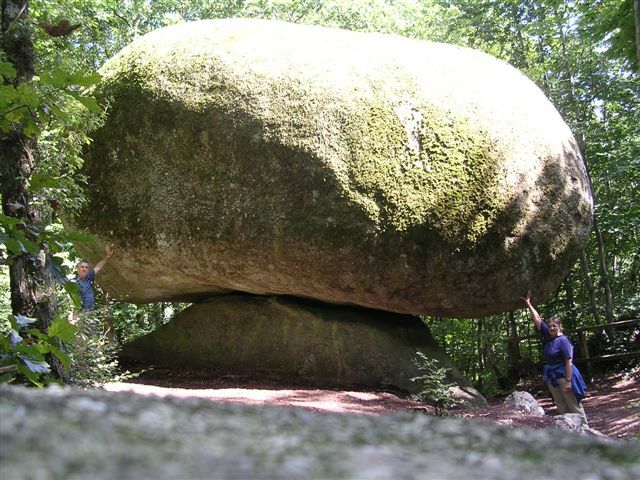 Our destination was Brittany, France and we decided to set ourselves a challenge. 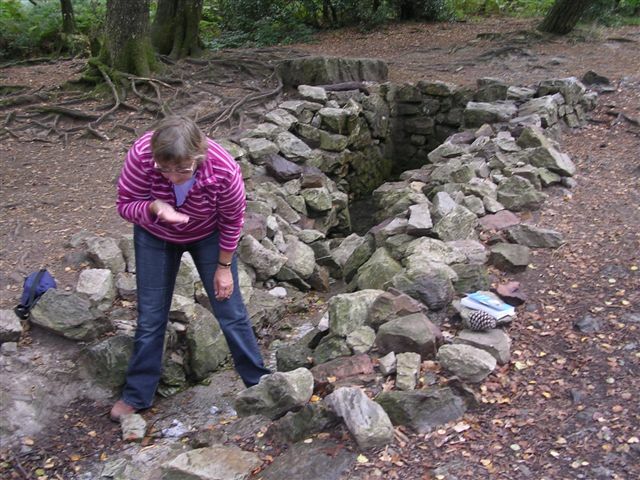 This was to locate and evoke the spell of Merlin s Stone which is to be found next to a sweet tasting spring, deep in the heart of Paimpont Forest, central Brittany. With this idea as our aim, navigator Sylvia and I set off in early September in our trusty 1992 Avalon.After a fast crossing by Eurotunnel we settled down to a steady drive along the northern coast roads to Honfleur. The estuary crossing Pont du Normande is really impressive; worth the trip itself. 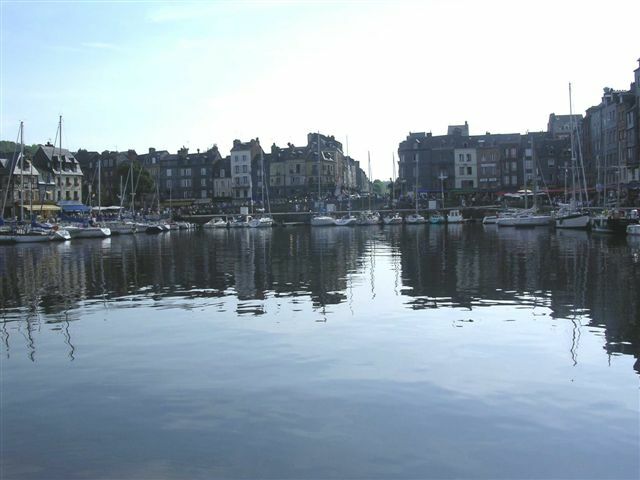 Days spent in Honfleur are always a joy; the marina is in the town centre and takes the place of the traditional square. The campsite we used is a pleasant, ten minutes stroll along side streets to the pavement cafes at the waterside. 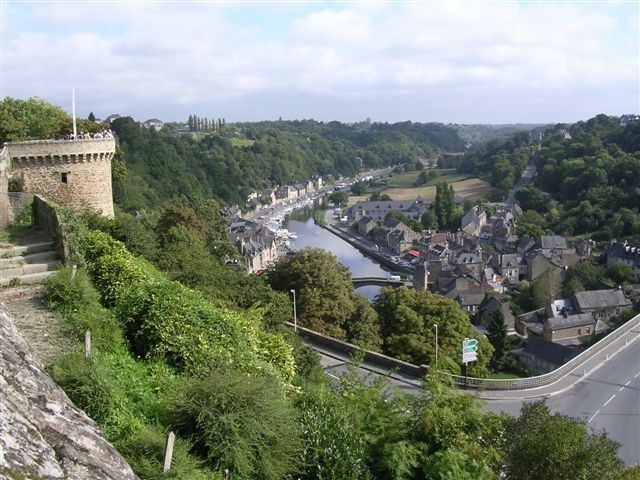 From Honfleur we moved on towards Brittany and the medieval town of Dinan which is set high above the River Rance. It is a walled town with quaint houses and cobbled streets and feels like an earlier age. The municipal campsite, like most such sites in France, was an easy walk to the town centre; this time through pleasant gardens.Further along the coast we had a pleasant night at the Cap Frehel with about twenty other vans on the cliff top overnight area which cost only two euros. We even had a bagette delivery in the morning. After several nights at different campsites, all to the high standard we usually find in France, we arrived at Point de l Arcouest on the Cote de Goelo. 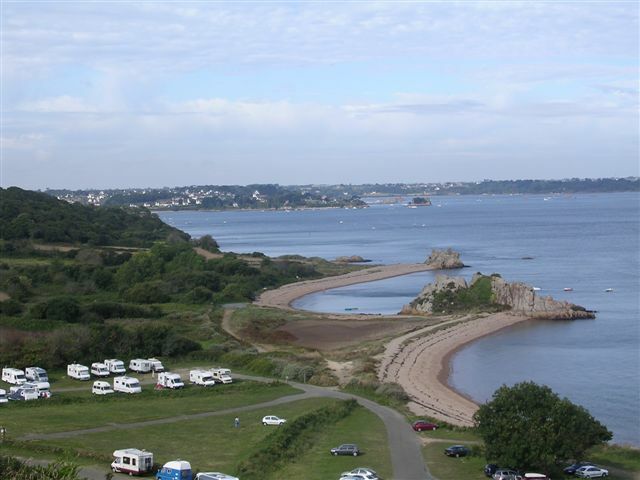 It was very picturesque with it s outlying island Ile de Brehat and very rocky coastline. There was lots of free camper parking. We had a lovely walk above the headland which gave us good views over the islands. On our way back an adder slithered across our path, after which we were careful where we put our feet. We moved west to Locquirec with it s idyllic bay and a municipal site right on the edge of a sandy beach. We spent a few glorious days there, walking and chilling-out in what was becoming the pattern of warm and sunny days.Next it was inland to the forest area of Huelgoat. The neat and tidy municipal site is on the edge of a lake and makes for easy walking or cycling into the forest. The tourist office, nearby, had plenty of maps of trails. The strange natural granite formations (one resembling a giant mushroom) that are to be found in the woods are all well signposted and well worth exploring. 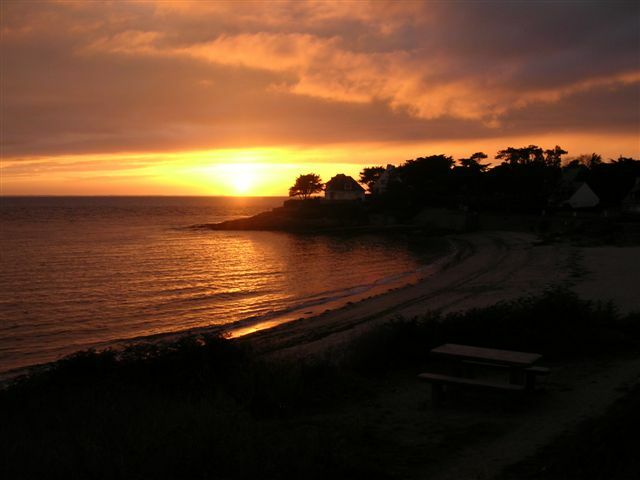 From Huelgoat we moved westwards to the coast and then leisurely southwards staying at some peaceful sites until we arrived at Carnac. 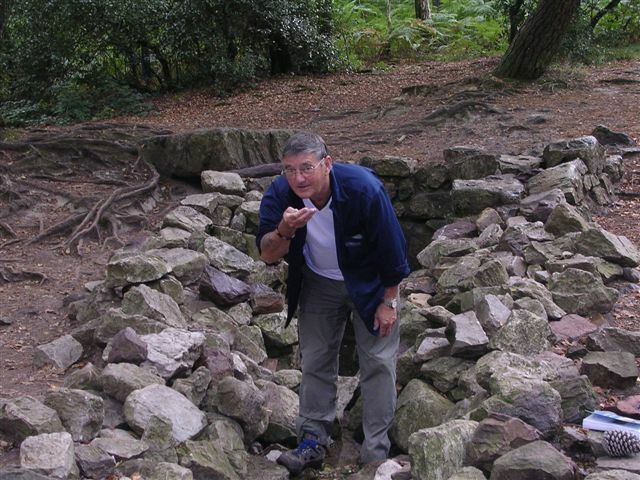 The aim was to visit the ancient Megalithic sites. Here there is a stretch of standing stones, some as high as five metres, which cover a distance of four and a half kilometres. There are estimated to be three thousand stones in total (we never counted them to confirm this). Another bonus along this splendid coastline are the spectacular sunsets over the Atlantic ocean. We then detoured to visit an old college friend of Sylvia s who rents out gites at Baud. By a freak coincidence one gite contained a couple of people whom I was at school with fifty years previous. A night out at a local restaurant was the obvious result and a great time was had by all. 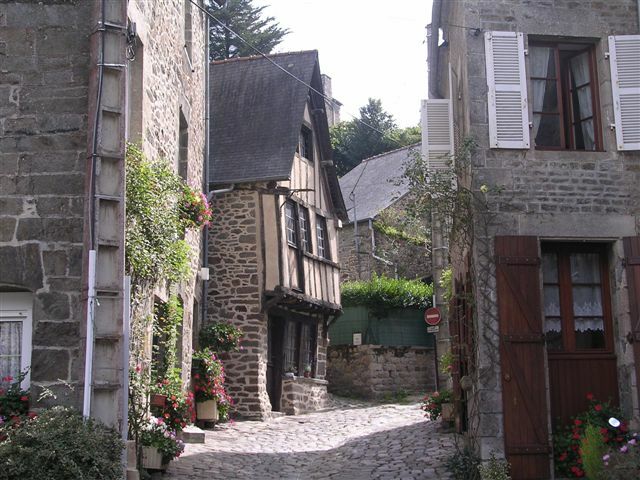 The nearby town of Auray is well worth seeing. We visited on the day of its bustling market. Downhill from the town centre it has a quaint port with cobbled streets and a river flowing through. 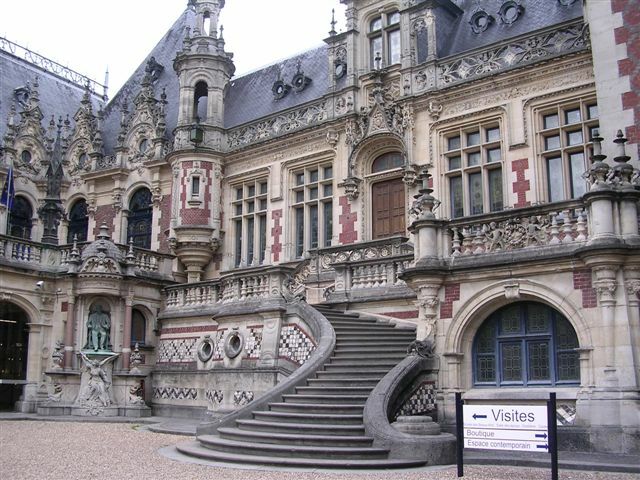 We moved south stopping at the large busy town of Vannes on the way. It had lots of old beamed houses and shops and down hill were waterside bistros and cafes overlooking the marina. Our next few nights were spent, in still hot weather, at the magical site on the ocean shore near Arzon. It was called Port Sable a small cove with treasure island features. 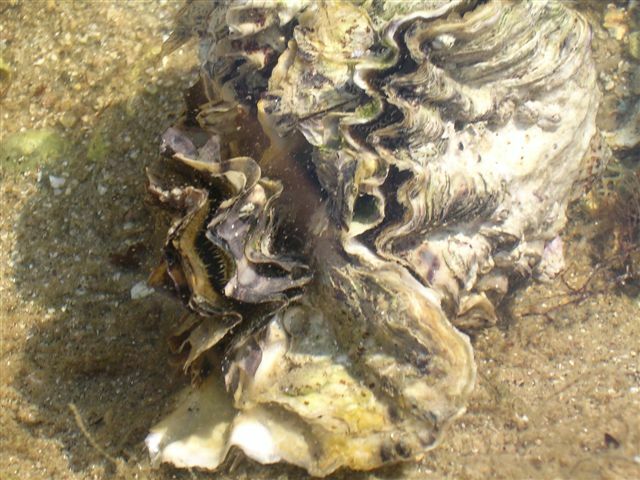 Whilst exploring the rock pools at low water Sylvia transferred some drying out oysters to a pool. After a few minutes we watched them open and filter feed. The shoreside walking was quite spectacular with seascape views in abundance.We left the area of the Golfe du Morbihan with a twinge of regret as it had been a wonderful area to visit; but, read on. The time had come to face our demons and head our faithfull van, Avalon, in the direction of Foret de Paimpont and the fabled Merlin s Stone. After a wet night on the Paimpont municipal site we followed the instructions in our Rough Guide to Brittany and located the area of forest to start our expedition. After a couple of false starts we entered the woods on a promising track. Heading higher up into deeper and darker forest, passing large boulders, eventually we came upon a small clearing with the remains of a huge tree. The mossed over rock spring was embedded in it s roots. Alongside was the large flat and shiny slab of rock Merlin s Stone. Mythology from the fifth century says that Merlin still lives in the stone, and if you drink from the spring then splash it s water onto the slab, you instantly summon up a mighty storm together with roaring lions and a horseman in black armour. We tried it it remained dry and very quiet. Strangely though, we did have a shower two days later! Saying Au revoir to Merlin we started our homeward drive. We stopped at St Malo at the nearby cliff top municipal campsite which has breathtaking views overlooking the marina and sea to St Malo old town. We walked along the shore to the lovely new/old walled city (It was almost completely rebuilt after being destroyed in 1944). It is a unique place with apparently centuries old stone buildings but unravaged by the wear and tear of time. We spent a pleasant hour walking around the perimeter ramparts, often with sights of hidden narrow cobbled side streets below. Heading homeward we also spent some time at Fecamp. After settling into another cliff top site and walking into town we visited the extraordinary distillery of Benedictine. Using the discount card given to us by the campsite we first explored the museum housed in the very ornate Palace of Benedictine; then the old distillery itself. Finishing with a free glass of the famous liqueur.”See separate entry under France”. Next was an overnight stay at Montreuil, another lovely walled town with it s campsite under the town walls and alongside the river very picturesque. Alas, all adventures have to end and after loading up with alcoholic fuel for our own consumption (at the Champion supermarket, as it is cheaper than the wine stores at Calais) it was time to drive on to the train under the north sea and home.